I don't think of myself as old. After all, I don't have tenure at ETSU yet, and being untenured is a sign of youth. Besides, I just travelled to the other side of the world from home. So of course I'm not old. My students think I'm ancient, of course. They like to take me by the arm when we walk together so they can guide me. It's both touching and annoying. For the Chinese, women are old at 50, which is when they retire. Men retire at 55. The other day, a cab driver told me I should quit working and enjoy my money. (I'm starting to understand what the locals say to me. There was a student with me to help.) The cab driver figured I was very rich. By his standards, I suppose I am. There's no choice about retirement here-- it is mandatory. In a nation with high unemployment, retirees do not work. People live off savings, and according to Chinese custom, children help. 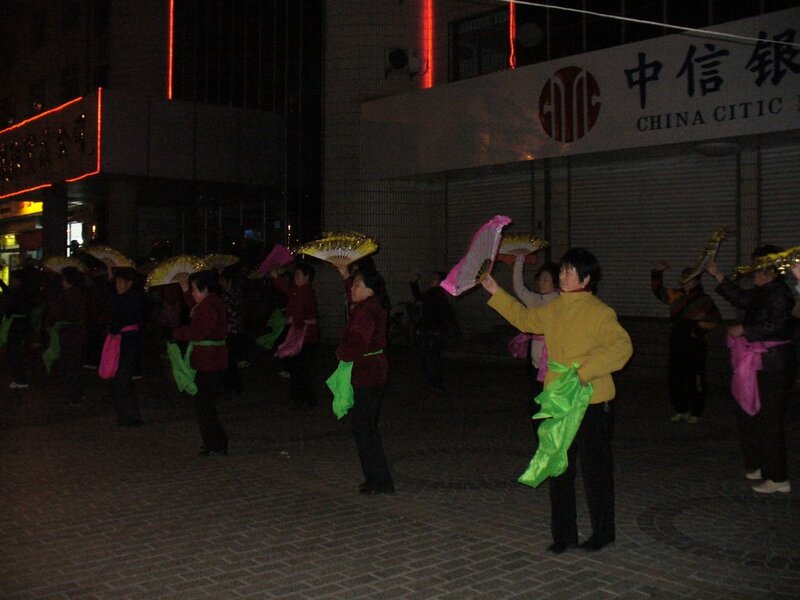 The ladies in this picture do the traditional fan dance every night. 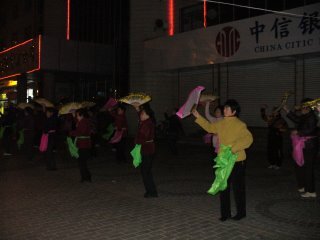 It's line dance, and the movements are gentle. It's supposed to keep people limber. Personally, I'd rather walk, travel and teach.